Spider-Man: Far From Home has already begun to break records. Even though the film is not set to release until early July, Far From Home is already poised to make waves for Sony and the Marvel team. In just 24 hours since the trailer’s debut, Spider-Man: Far From Home has attained 130 million hits. Far From Home is now the most successful digital debut in the history of Sony Pictures. Sony’s previous record was held by Spider-Man: Homecoming. Homecoming received a whopping 116 million hits within the first 24 hours of its launch. The impressive release was only topped by the film’s own sequel. If Homecoming is any indication of what’s to come, Far From Home is poised to be a massive hit. The first film featuring Tom Holland as the web-slinging superhero ended its box office run at $880.1 million worldwide. 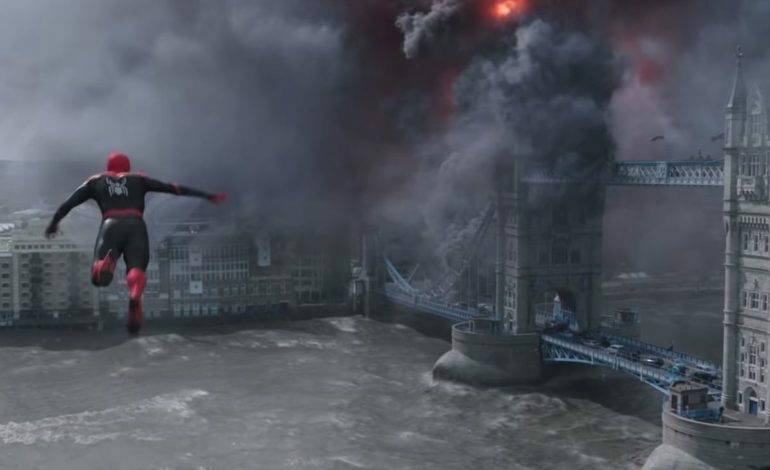 If trailer views are any indication of a film’s fiscal success – Spider-Man: Far From Home may be poised to take Peter Parker over the $1 billion landmark. The Far From Home trailer features Peter Parker traveling to Europe on a school trip. The trailer shows Peter’s hopes of a relaxing vacation being squashed by the appearance of Nick Fury (Samuel L. Jackson) and fan favorite super villain, Mysterio (Jake Gyllenhaal). Along with some awkward flirting between Peter and M.J., the trailer teases what look to be epic fights between Mysterio’s elemental monsters and our witty web-headed hero. Check out the trailer for yourself in the link below. Spider-man has made a multitude of waves as of late. Since its release, Spider-man’s animated counterpart, Spider-Man: Into the Spider-Verse (starring Shameik Moore as Miles Morales) has taken the friendly neighborhood superhero to new critical heights. In addition to the film’s nearly universal praise (97% on Rotten Tomatoes), Spider-Verse has also received the Critics Choice Award and Golden Globe for best animated feature. Spider-Verse has grossed a respectable $322.8 million in the global box office to date. With the success of Spider-Verse and an unprecedented amount of hype building for Far From Home, thing have never looked better for Sony’s friendly money making – I mean neighborhood Spider-man.